In order to better understand important biological membranes, it is necessary to explore new methods. 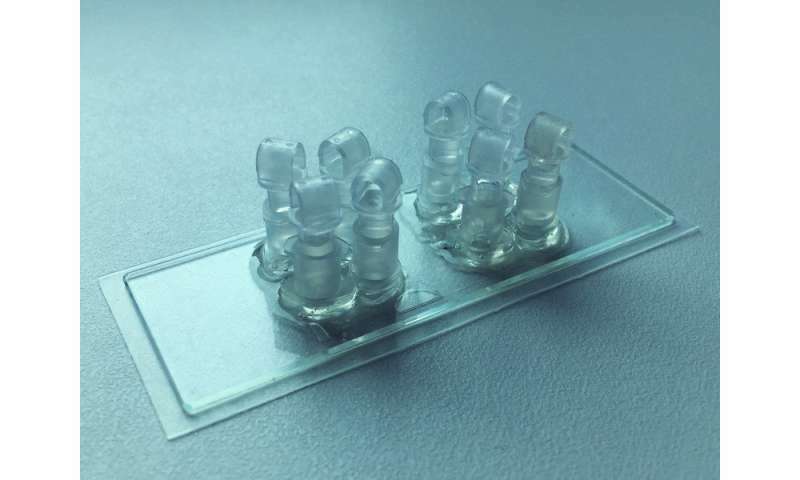 Researchers at Vienna University of Technology (Vienna) have succeeded in creating an artificial placental barrier on a chip, using a high-resolution 3-D printing process. For this reason, Vienna University of Technology has now produced an artificial placenta model that very closely resembles the natural organ. 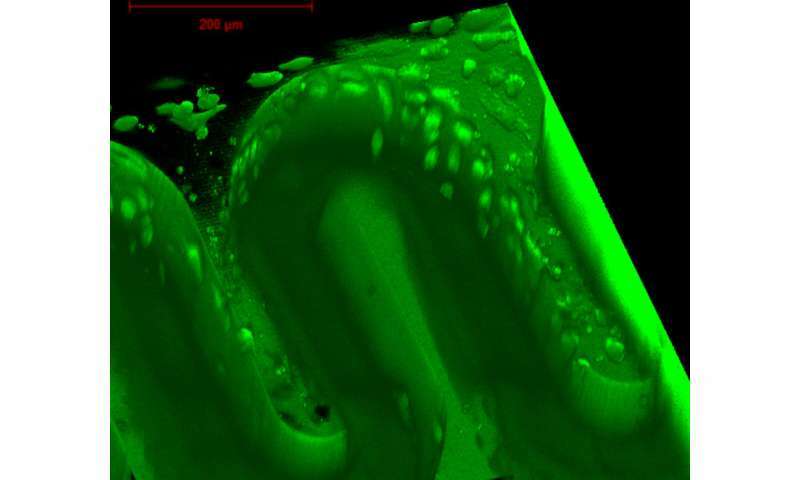 Using a specially developed femtosecond laser-based 3-D printing process, it is possible to produce customized hydrogel membranes directly within microfluidic chips, which are then populated with placenta cells. This means it is now possible to provide clarity in some vital research issues, such as the exchange of glucose between mother and child. "The transport of substances through biological membranes plays an important role in various areas of medicine," says Prof. Aleksandr Ovsianikov of the Institute of Materials Science and Technology at Vienna University of Technology. "These include the blood-brain barrier, ingestion of food in the stomach and intestine, and also the placenta." Researchers at Vienna University of Technology are therefore working on replicating organ structures on compact chips in order to investigate important aspects of their function under controlled conditions. "Our chip consists of two areas – one represents the foetus, the other the mother," explains Denise Mandt, who worked on the project as part of her thesis. "We use a special 3-D printing process to produce a partition between them – the artificial placenta membrane." Vienna University of Technology has been working on high-resolution 3-D printing of this kind for years, with great success: it involves the use of materials which can be solidified with the help of laser beams. This allows the desired 3-D structures to be created point by point with a resolution in the micrometre range. "In our case it involves a hydrogel with good biocompatibility," Aleksandr Ovsianikov explains. 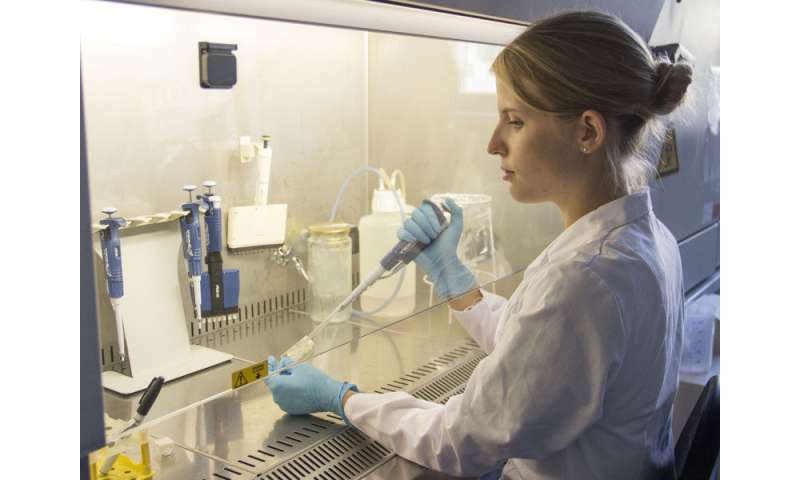 "Based on the model of the natural placenta, we produce a surface with small, curved villi. The placenta cells can then colonise it, creating a barrier very similar to the natural placenta." "This 'organ-on-a-chip' technology is a revolutionary approach in biomedicine, which has generated a great deal of interest in clinical diagnostics, biotechnology and pharmaceutics in recent years," says Prof. Peter Ertl, head of the cell chip research group which played a key role in the project. "The creation of human mini organs on a chip should allow the development of patient-specific therapeutic approaches, and also represents a vital method for replacing animal experiments."